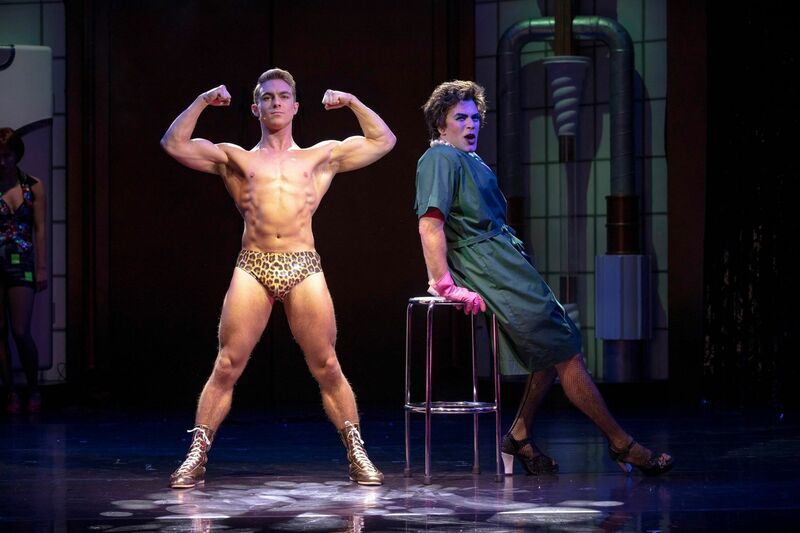 Having been a huge fan of this cult classic, I was ecstatic to hear it would be embarking on another UK/World tour – I would finally get to see Rocky Horror Show live as it should be. 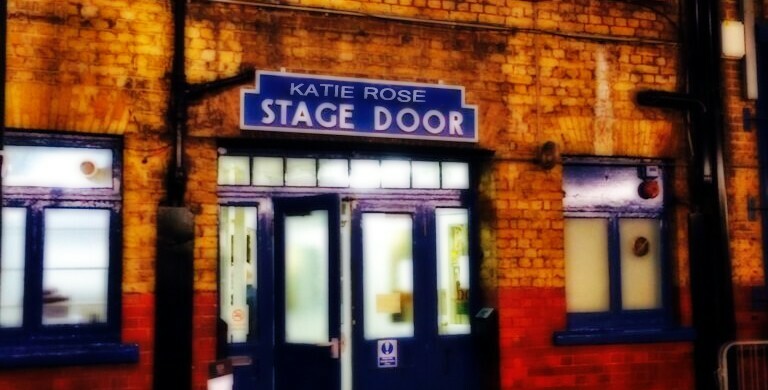 It was opening night at the Churchill Theatre, Bromley and the audience were truly buzzing. 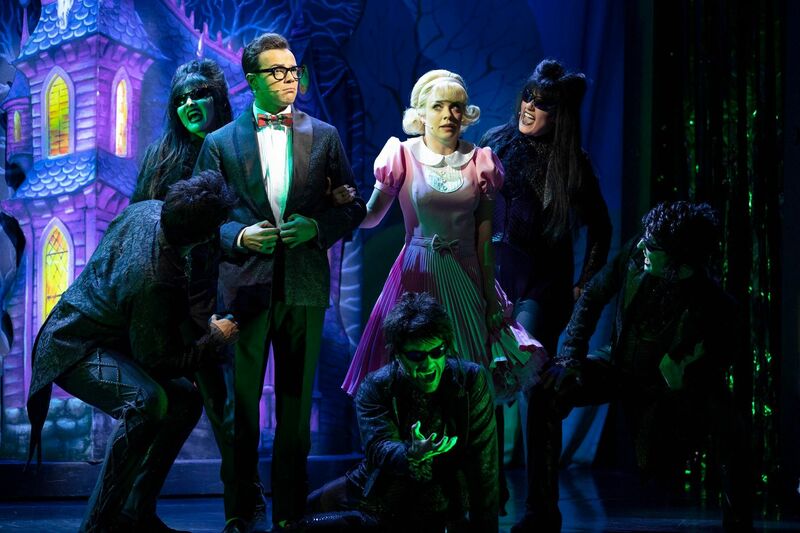 The Rocky Horror Show is a musical comedy with music, lyrics and book written by the mastermind of Richard O’Brien. It tells the story of a newly engaged couple Brad and Janet, who get caught in a storm and end up coming to the home of a mad transvestite scientist, Dr Frank-N-further. When taking in they witness the unveiling of his new creation, a sort of Frankenstein-style monster but in the form of an artificially made, fully grown and perfectly physical muscle man named Rocky Horror. Although originally it was as stage production, it was the film adaptation Rocky Horror Picture Show in 1975 that the show began to receive its cult following and still loved by many to date. Now, I can imagine if you were to attend this production with no clue of the story/following would watch this productions and wonder what was going on – with the audience shouting comebacks to many of the lines and at times throwing things onto the stage (not recommended however). But that is all part of this theatre experience and without it, it would just be plain weird! Being part of an audience at Rocky Horror is an experience in it self to enjoy, but watching the react throughout just brought the whole thing together – this is not a show to just sit and watch, participation is welcomed and needed! One things for sure however, if you don’t know the story I’m sure everyone knows at least one of the classic songs that come with the show ‘Dam it, Janet!’ ‘Sweet Transvestite’ ‘Touch-a, Touch-a, Touch- a, Touch-me’ and of course ‘The Time Warp’ (which is played at almost every party/wedding known to man!) its amazing to see these songs sung live. Especially from this cast! Now it isn’t Rocky Horror without Frank-N-Furter and for many who have stepped into the stilettos of the original Tim Curry tonight Stephen Webb put on the corset and really showed a true Frank. You could tell at times how he was influenced by TIm, but he still made the iconic character his own. One things for sure, your knew he was loving playing the part and his voice suited all the songs throughout. Rocky his creation played by Callum Evans was very impressive – to the eye but also with his acrobatic skills, he was mesmerizing to watch! Following their performances in Flashdance Ben Adams and Joanne Clifton take on a new couple as Brad and Janet. Once again their chemistry on stage is clear and they both work so well together. Ben had the innocence of Brad perfectly and Joanne had the cutesy yet ‘naughty’ Janet did not disappoint, there doesn’t seem to be a role lately that she can’t do! You then had brother and sister Riff Raff and Magenta, Kristain Lavercombe brought on his inner Richard O’Brian (who originated the role in the film), I just couldn’t fault him he had the creepy, yet entertaining characteristics that Riff Raff is! Laura Harrison first appears as the Usherette where she shows of her amazing voice during ‘Science Fiction/Double Feature’ and shows her flexibility in bringing two rather different characters to the stage, as Magenta was seductive and strong throughout. Last but not least it would not be Rocky Horror Show with out the assistance of an Narrator, tonight played by Philip Franks who is no stranger to this musical. He knew exactly when to pause for audience participation, what to expect, and best yet how to respond in the perfect comedic way! You would always look forward to when he appeared on stage, intrigued to see what he would come up next! The audience clearly loved him! Whether you are a huge fan of the franchise, or want something different and entertaining then Rocky Horror Show is the musical for you! At the end you are guaranteed to be up on your feet Time Warping with the audience and cast and smiling and laughing. I was so happy I finally got to see this show live and I will go back again and again when possible, as I am sure not one show is the same. Rocky Horror Show plays at the Churchill Theatre until Saturday 20th April for all ticket information go here. It then continues on its UK/World tour – for all dates and ticket information go here.